Lithium sulfur (Li–S) battery is regarded as one of the most appealing competitors for the succeeding generation energy storage systems. Nevertheless, the pragmatical application of Li–S battery on a large-scale is obstructed by its short cycle life and low Coulombic efficiencies, originating from the notorious shuttle effect. 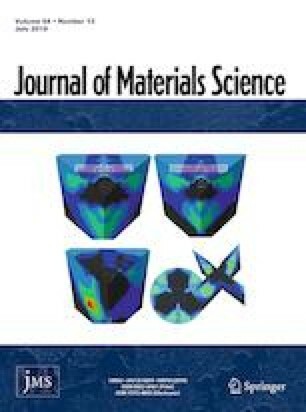 To resolve this issue, in this manuscript, the reduced graphene oxide@CoSe2 (rGO@CoSe2) is proposed for the first time to revise the part of separators in the Li–S battery to restrain the shuttling of polysulfides with the aid of graphene with physical absorption and CoSe2 particles with strong chemical anchoring of lithium polysulfides. The results indicate that the Li–S battery fabricated with rGO@CoSe2-redevised separator presents high initial discharge capacities of 1180 mAh g−1 at 0.2 C (1C = 1675 mAh g−1) and long cycle stability at 0.5 C with a low capacity decrease rate of 0.0856% per cycle. The proposed approach demonstrates a viable way for practical application of Li–S battery with good electrochemical properties. The online version of this article ( https://doi.org/10.1007/s10853-019-03571-z) contains supplementary material, which is available to authorized users. This research was funded by the National Natural Science Foundation of China (51802354, 51871247, 51774343).